Gear Couplings - Standard & Custom Gear Couplings | System Components, Inc.
System Components Inc. manufactures high-quality gear coupling products that provide a long service life. Our couplings are competitively priced for initial installation and our superior design makes them cost-effective for the long run. We serve many long time customers through our ability to custom-modify standard products or custom-engineer a special product to meet specific application requirements. 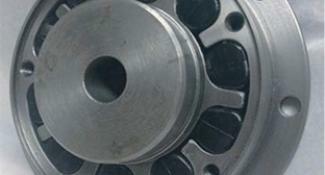 When you need high performance and reliability, choose a System Components gear coupling. Available in Full flex, Flex Rigid, Rigid-Rigid and other designs. In stock are size 1-F thru 10-F accommodating bore sizes up to 14 1/8". 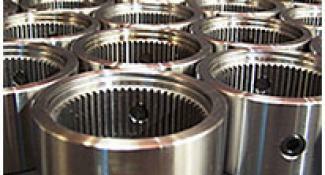 They are available in larger sizes up to 18-F accommodating bore sizes up to 27 1/4". Powertork Series S continuous sleeve type gear couplings incorporate a one-piece splined sleeve and two hubs with triple-crowned gear teeth. 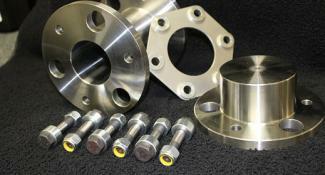 These products are much smaller in diameter and lighter than flange couplings. Flextork elastomeric couplings are a unique answer to drivetrain misalignment, shock loads, and torsional vibration challenges. 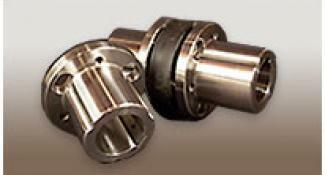 They offer the highest torque and speed rating for their size of any coupling available. Disc couplings are used in varied applications - marine drives, cooling tower drives, generators, compressors, mill equipment, fans, etc. 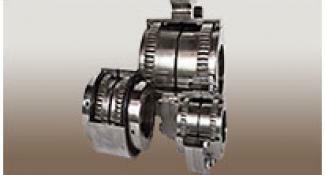 Let us guide you with the type of disc coupling construction for your application. Heavy duty coupling protects equipment from damaging shock loads and/or reversal duty.